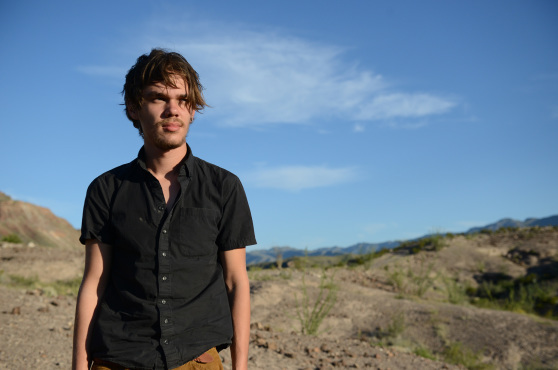 At the film’s core is Mason (Ellar Coltrane) who lives with his mom and older sister (Patricia Arquette and Lorelei Linklater) and whose teen-spirited dad (Ethan Hawke) visits occasionally to provide wisdom into the school of life and politics. Boyhood is not so much a story as it is a look at life through the eyes of this one boy, from ages 6 to 18. Every year is depicted by Linklater through a key event, or a memory, or just a regular day in his life. It is engaging because it is impossible not to relate to Mason’s growing and learning, and I often found myself reminiscing where I was when a particular song came on the radio while he and his dad were driving somewhere, or what my own awkward high-school years were like. The cast is impeccable, and it is indeed a remarkable feat for all of the actors to come back and revisit these characters year after year, for such a long time. It shows that they themselves were attached to the story, and the acting itself is so naturalistic; it verges on cinéma-verité rather than fiction. There is something that simply cannot be described in words about Boyhood and it comes from the fact that Linklater has now achieved something very few filmmakers have shown the ability to do: he has made a movie that is simultaneously about nothing, and everything. It is a piece of work that has a heartbeat, and the one thing it most reminds me of is J.D. Salinger’s Catcher in the Rye, a work of literature that remains in the public imagination to this day thanks to its incredibly real protagonist, Holden. There is an attachment that the audience forms with a film like Boyhood and it is due to the love we feel for this boy, because he is so much like us. We all go through life in very similar ways, and there are unspoken truths and events that touch all of us. Linklater has previously shown his affinity for time-based stories, most notably with the Before Sunrise, Before Sunset, and Before Midnight films, which similarly follow the same characters through time as their relationship progresses. The only difference is that the trilogy shows us just one day in their lives each time, while Boyhood seamlessly puts together 12 years of Mason’s life. Both the Before trilogy and Boyhood made me feel like I was going through a quiet transformation, which instilled in me a feeling of growing wiser from having seen these films. No one knows for sure whether life mirrors art or art mirrors life, but I think it is the latter. We learn as much from movies, and books, as we do from life. It is the artist’s job to paint life on a canvas so we can elevate it to art, and this is exactly what Richard Linklater achieves with Boyhood. Radina Papukchieva came to live in, be consumed by, and love Montreal in 2003 from Bulgaria, with her mother and little sister. She is still a semester away from graduating from Concordia University, where she is doing a double major in journalism and communication and cultural studies, as well as a minor in film studies. Her interests include film, TV, and popular culture. And Woody Allen. She is a film writer for CultMontreal.com and co-creator of The Cafe Phenomenon. Her list of inspirational people includes Tina Fey, primarily. Among her other interests are music, art, literature, and of course, food. Her film reviews have appeared in The Concordian and The Mirror.